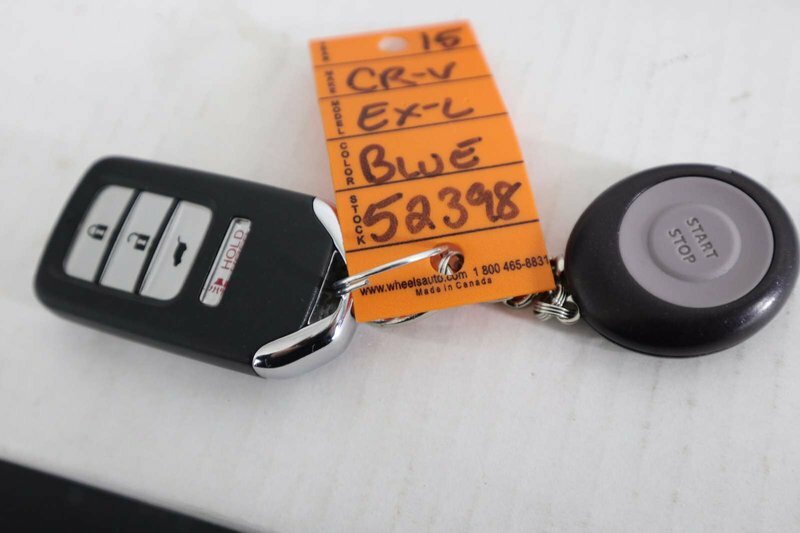 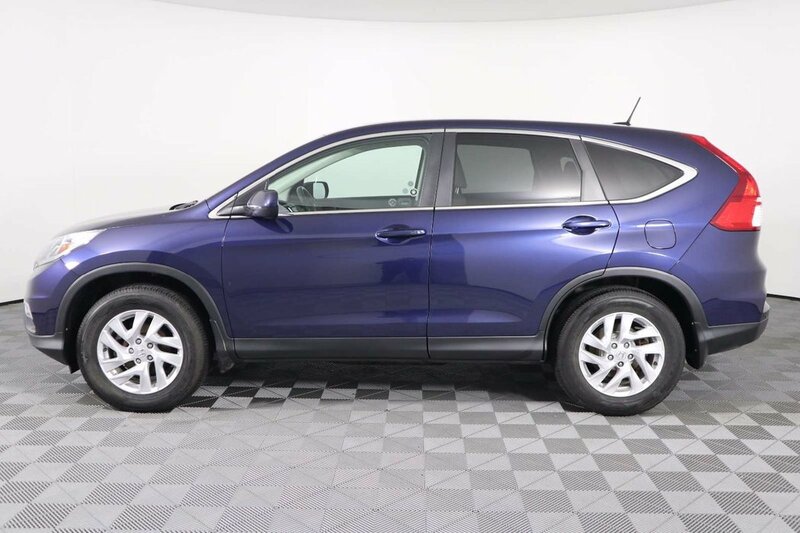 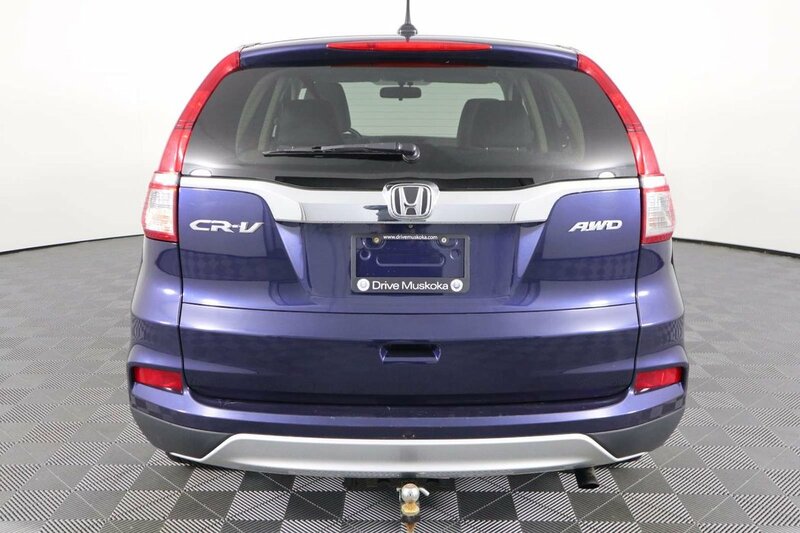 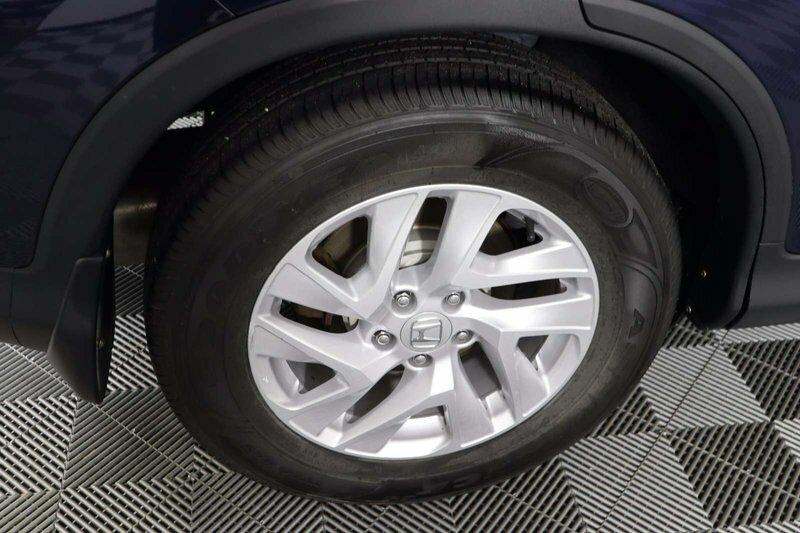 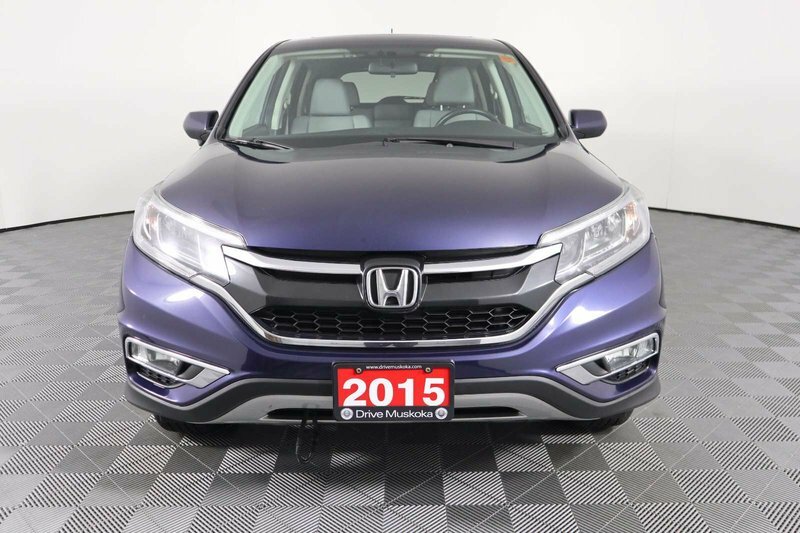 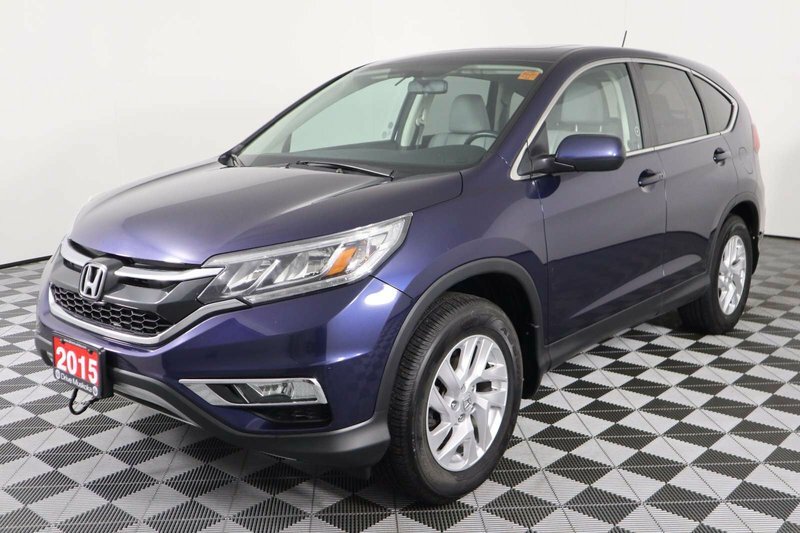 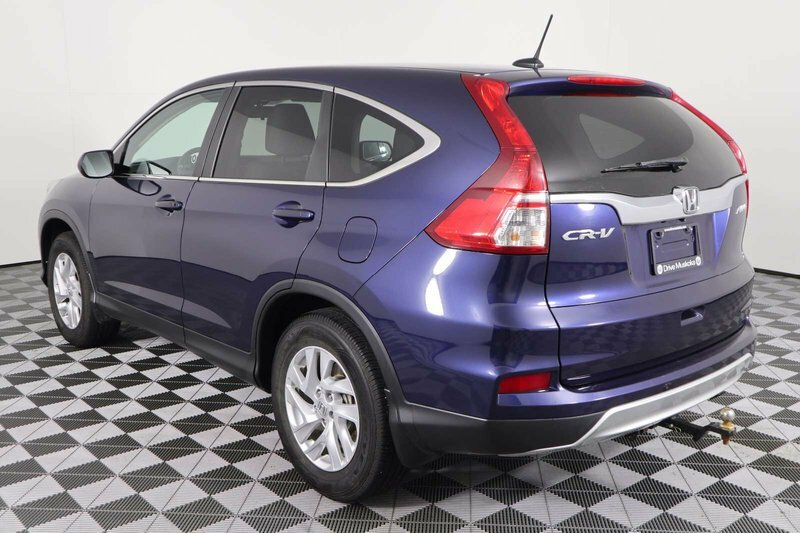 Inject some driving fun into your day with our 2015 Honda CR-V EX-L AWD brought to you in Obsidian Blue Pearl! 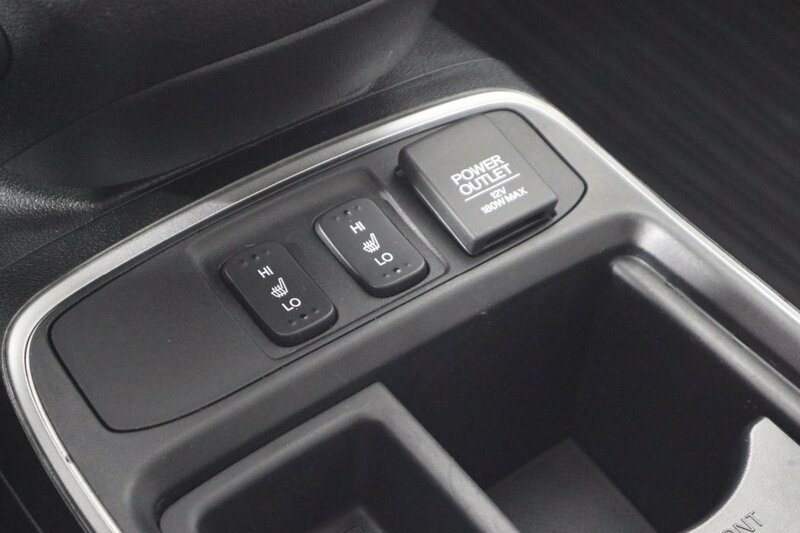 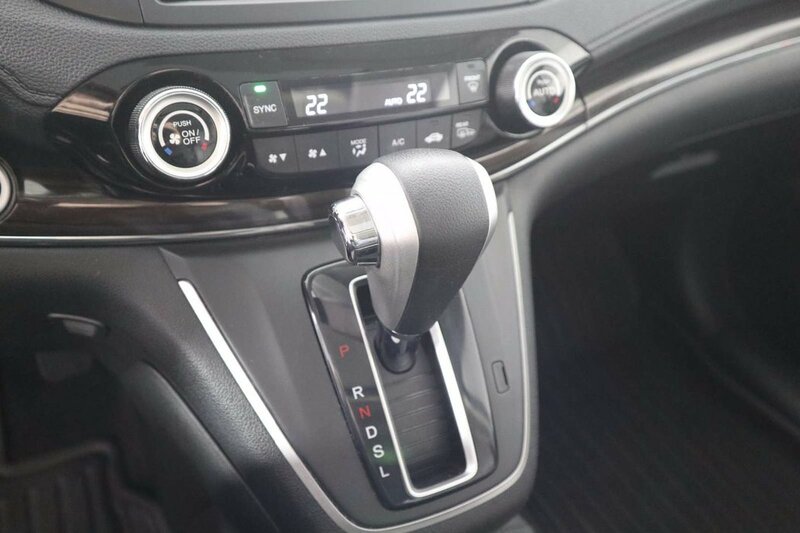 Powered by a 2.4 Litre 4 Cylinder that offers 185hp while connected to an innovative CVT with sport mode for fun passing maneuvers. 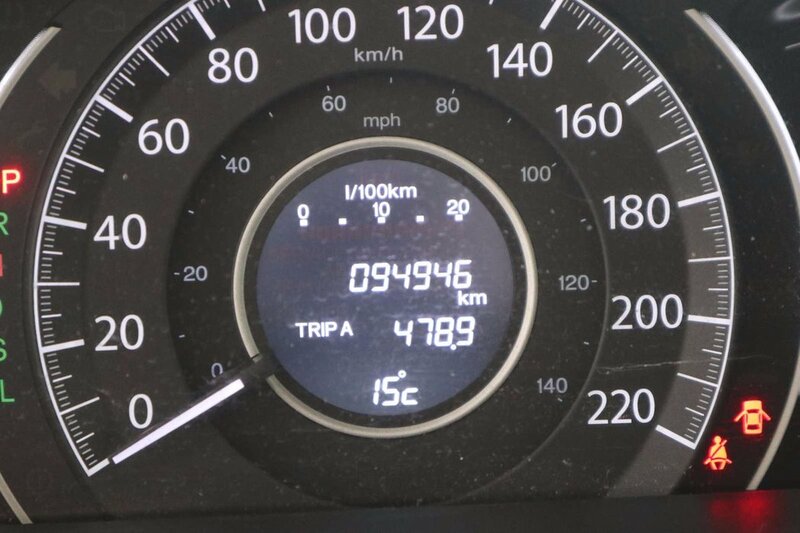 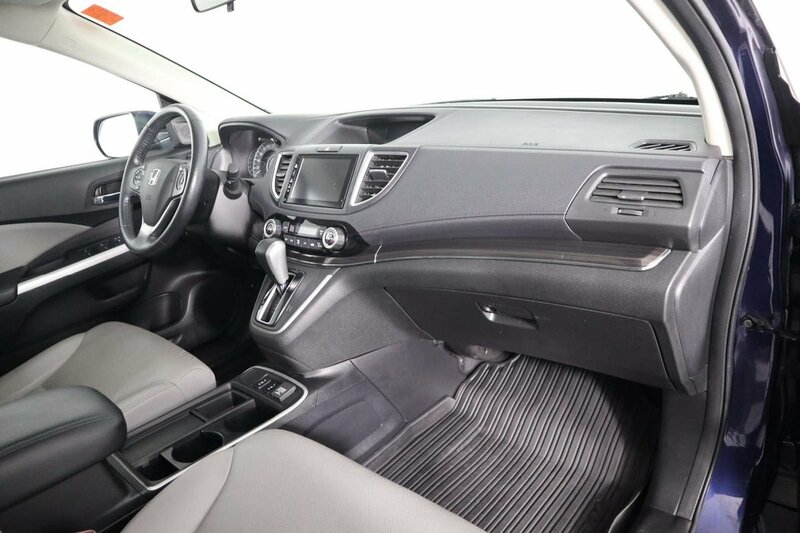 This All Wheel Drive provides nearly 7.1 L/100km on the highway and is the ideal balance of size and capability. 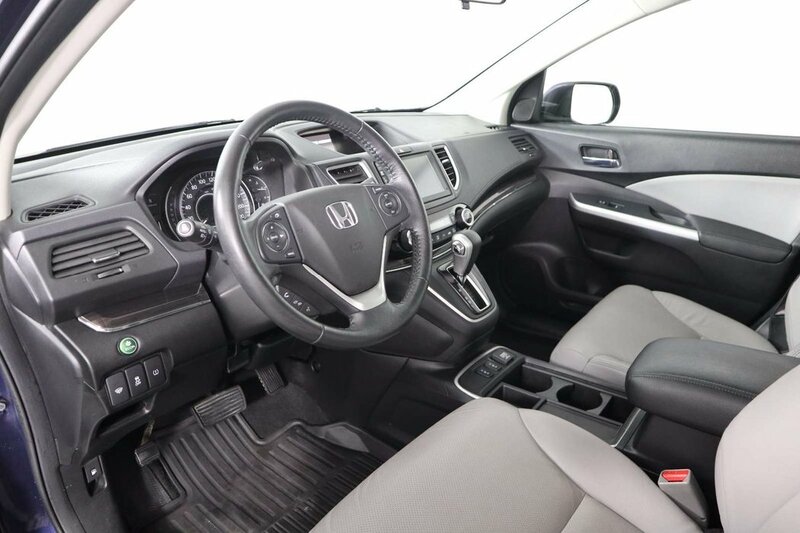 Blending comfort and sport with thoughtful touches inside and out to take on whatever your lifestyle requires. 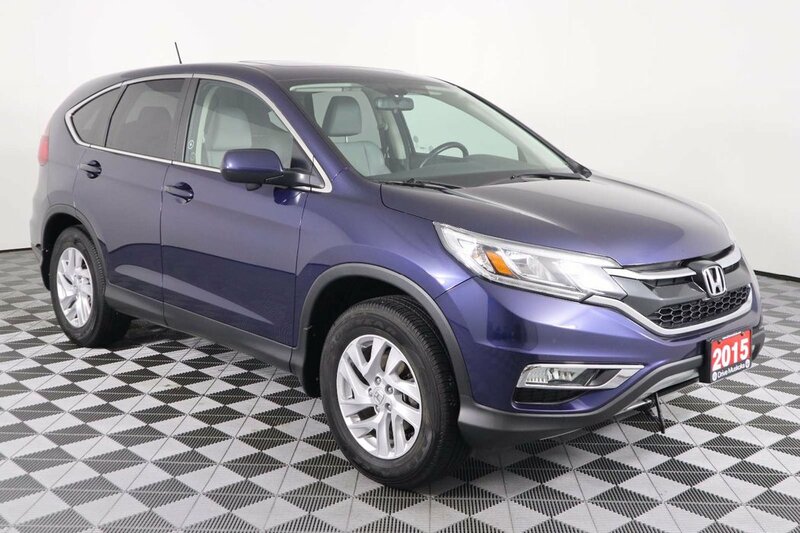 The sculpted and sleek body lines of our EX-L are enhanced with LED daytime running lights, prominent wheels, and a beautiful sunroof. 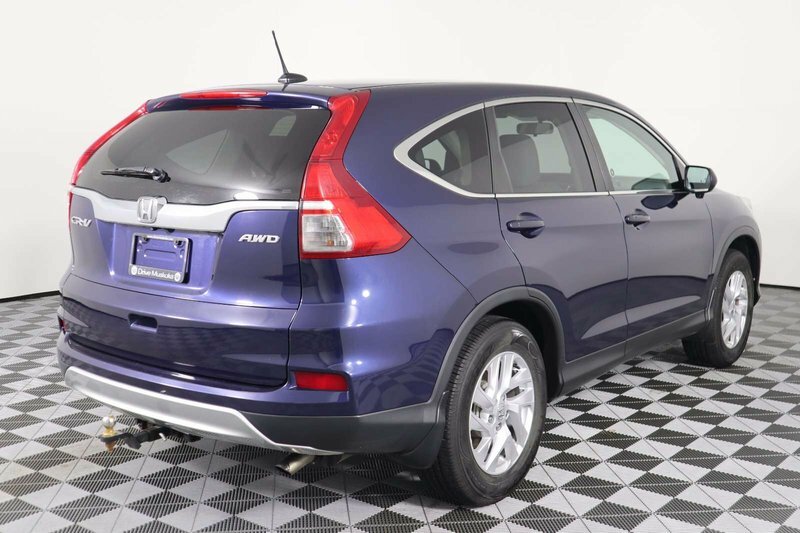 The sophisticated styling of this EX-L was built with your busy lifestyle in mind. 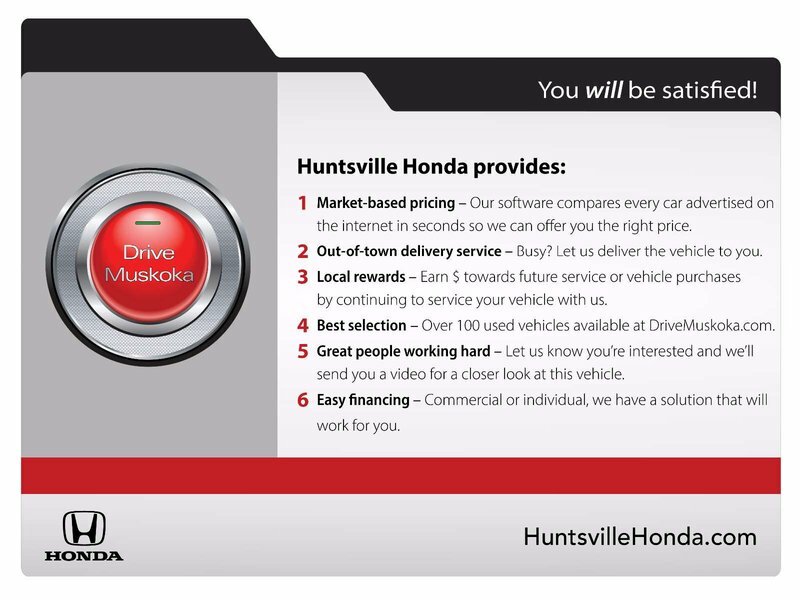 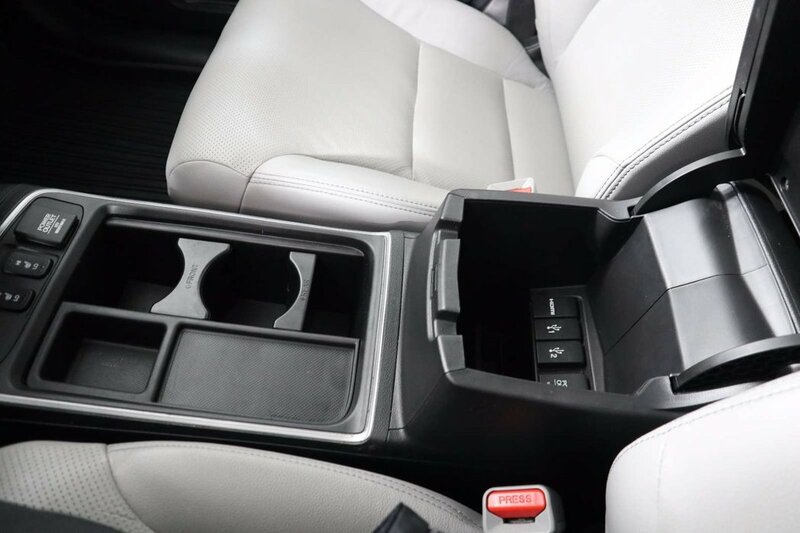 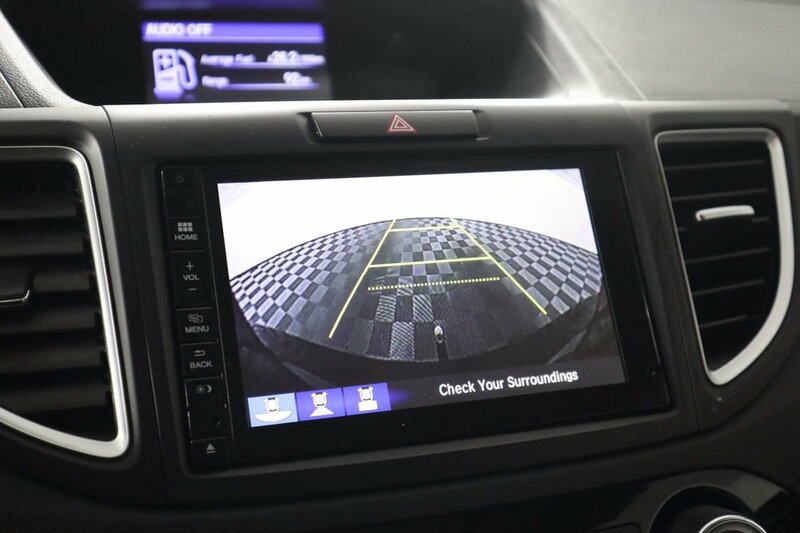 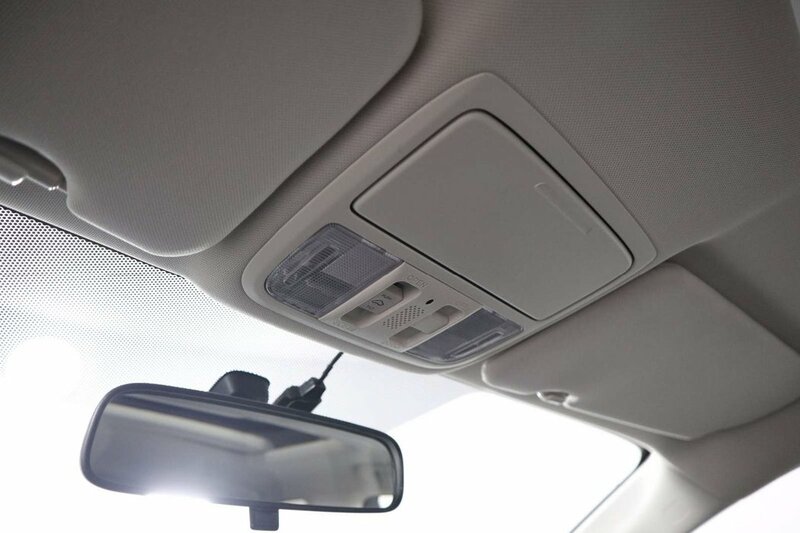 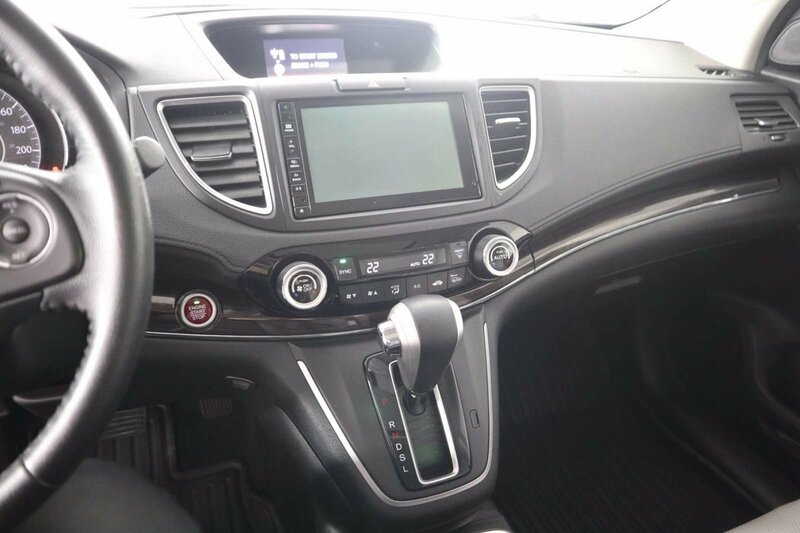 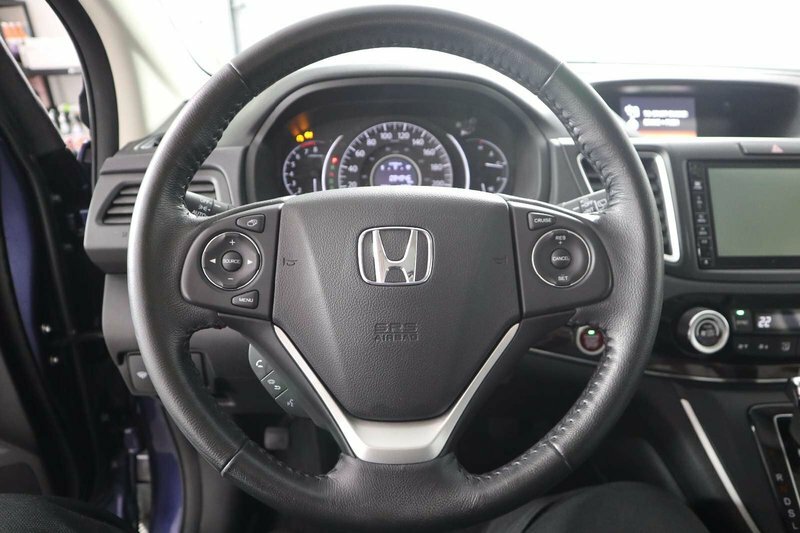 Enjoy a high-resolution touchscreen, HondaLink, Bluetooth, SMS Text message function, a great audio system with a sub-woofer and Pandora compatibility. 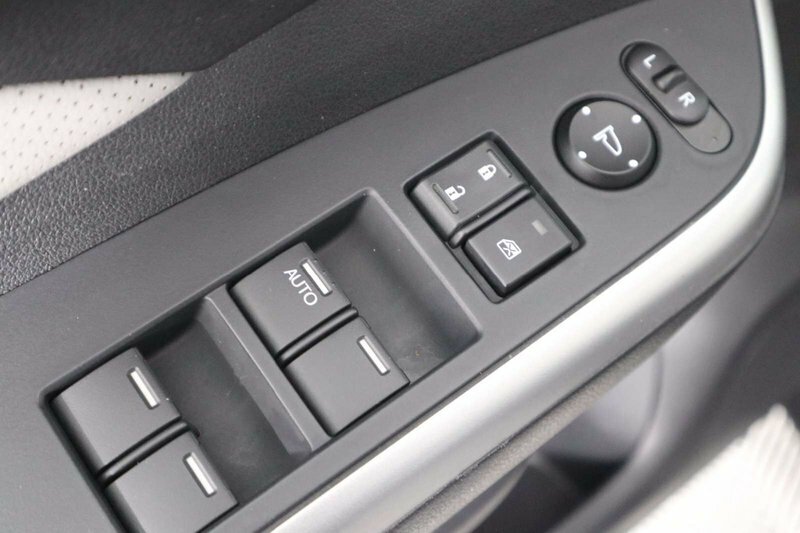 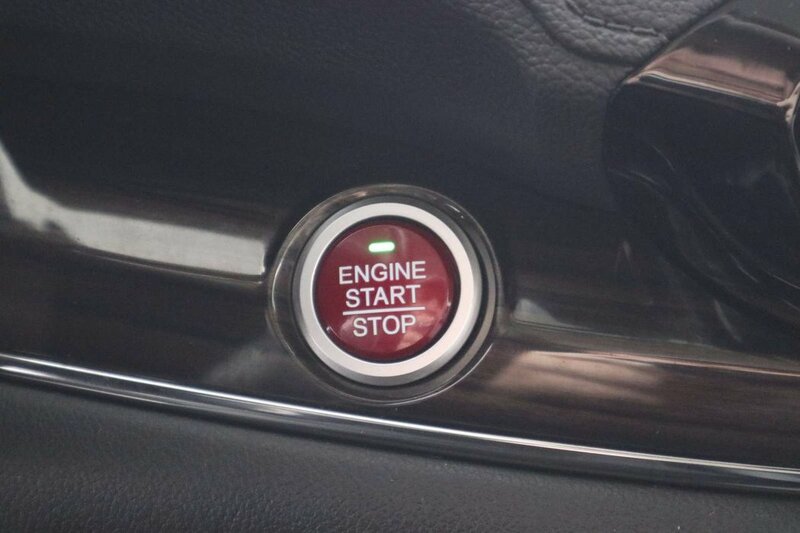 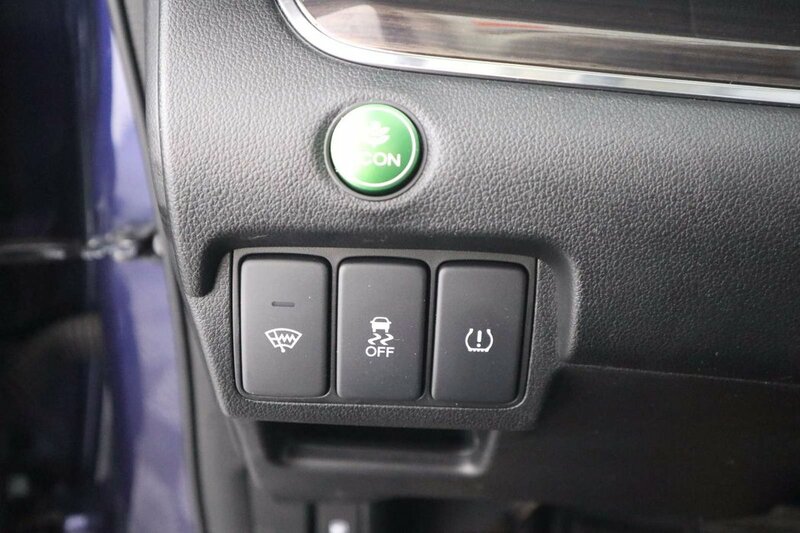 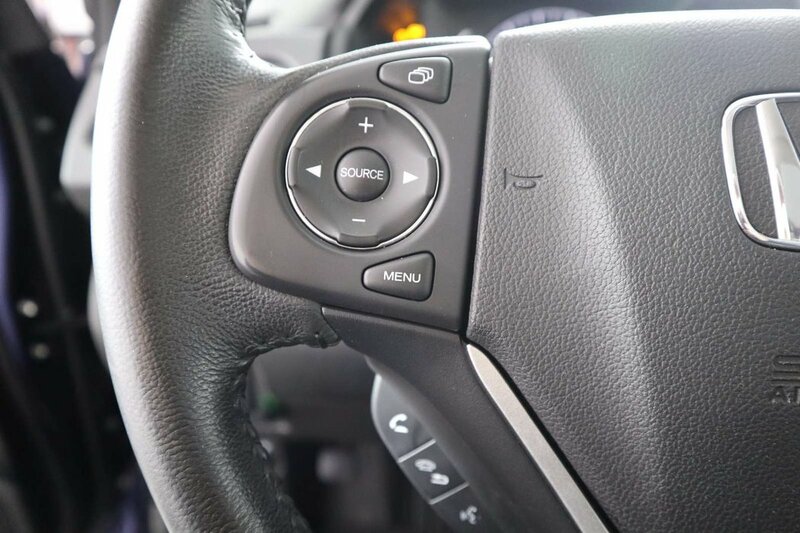 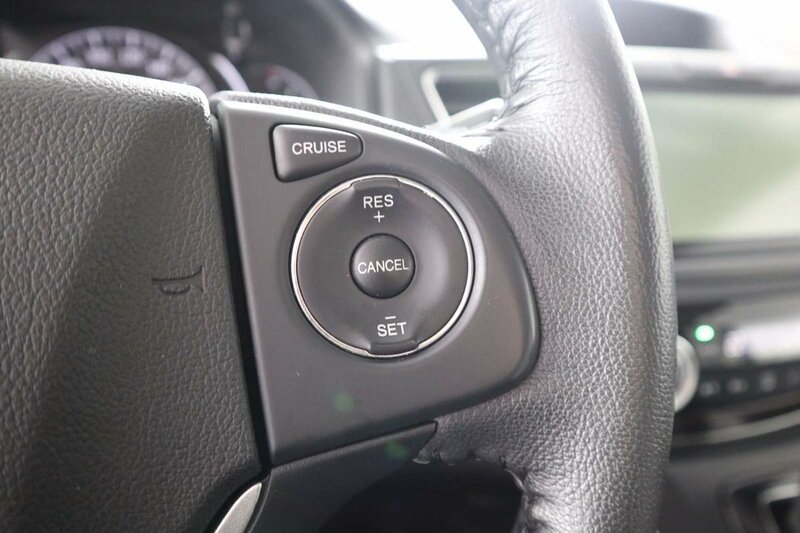 An illuminated steering wheel with cruise, audio, phone and i-MID controls keeps power at your fingertips. 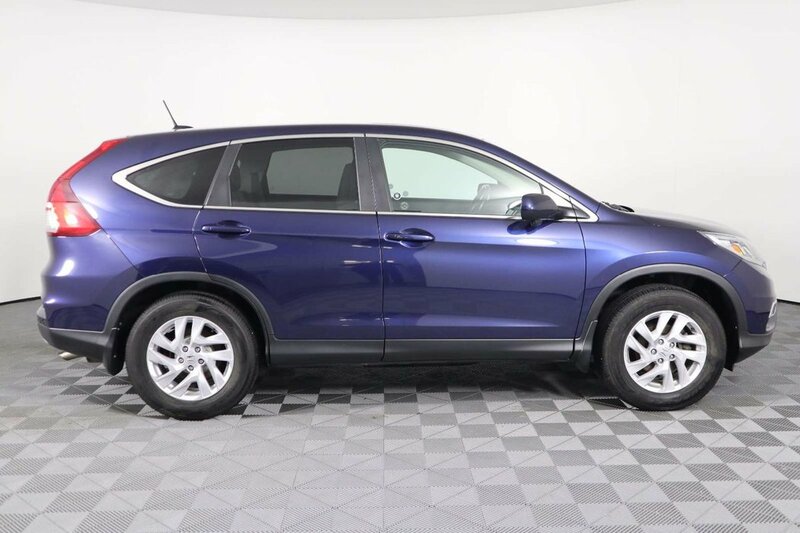 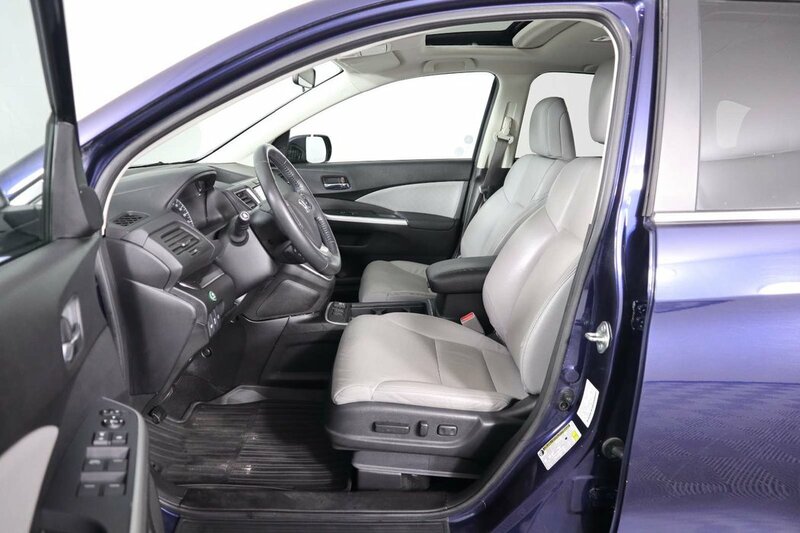 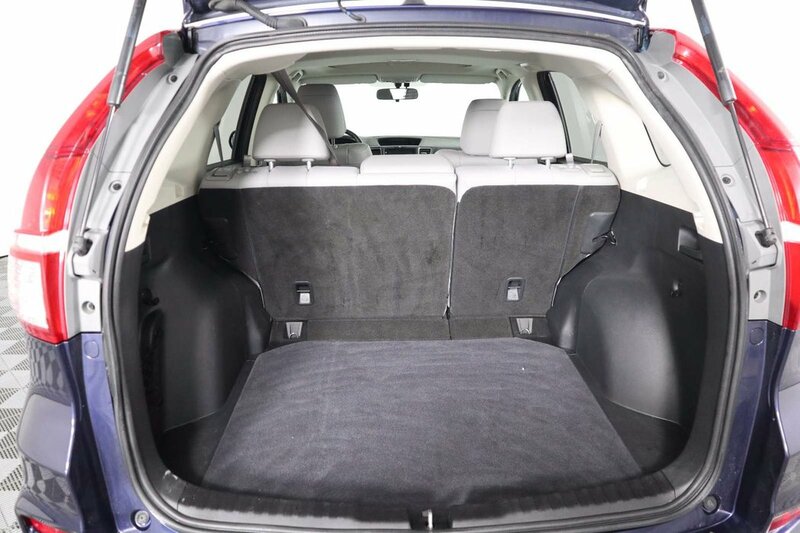 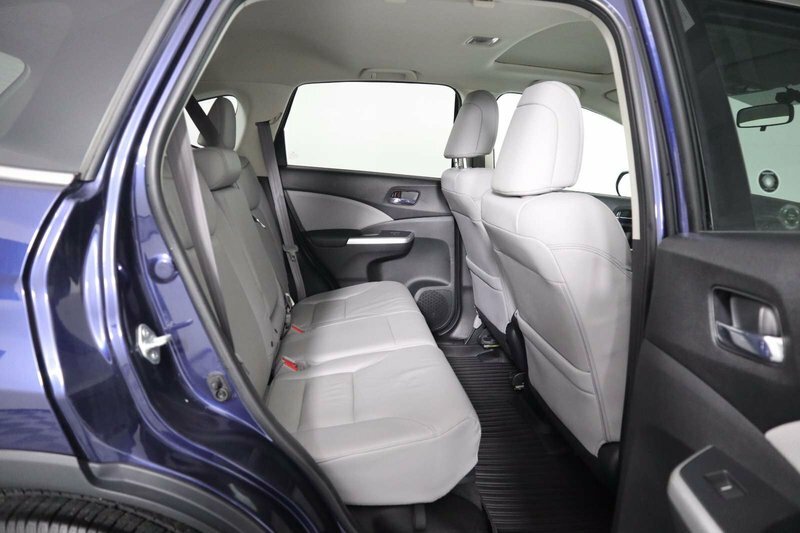 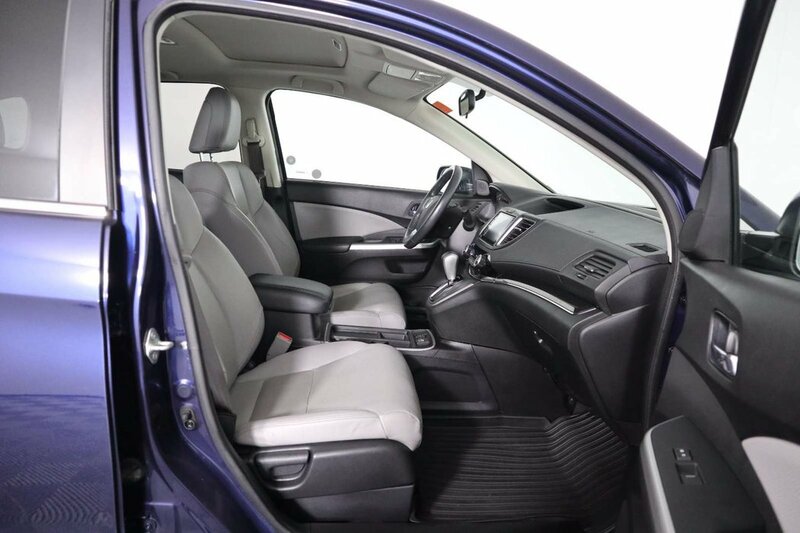 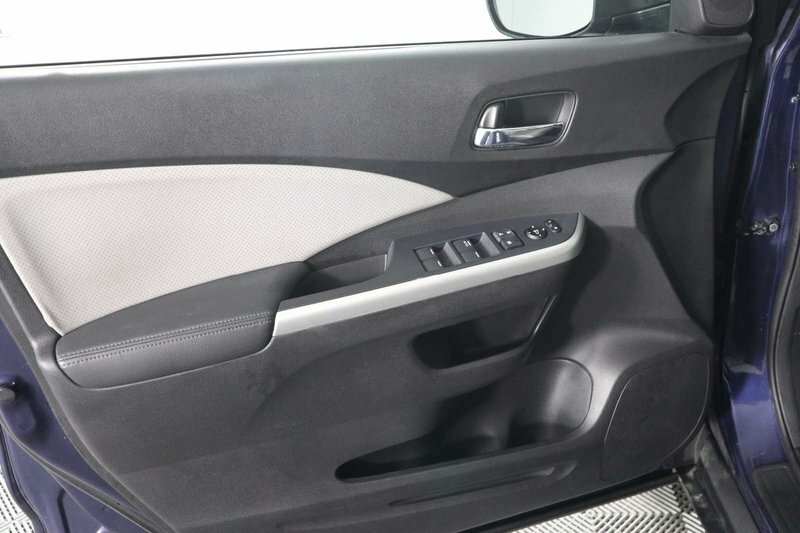 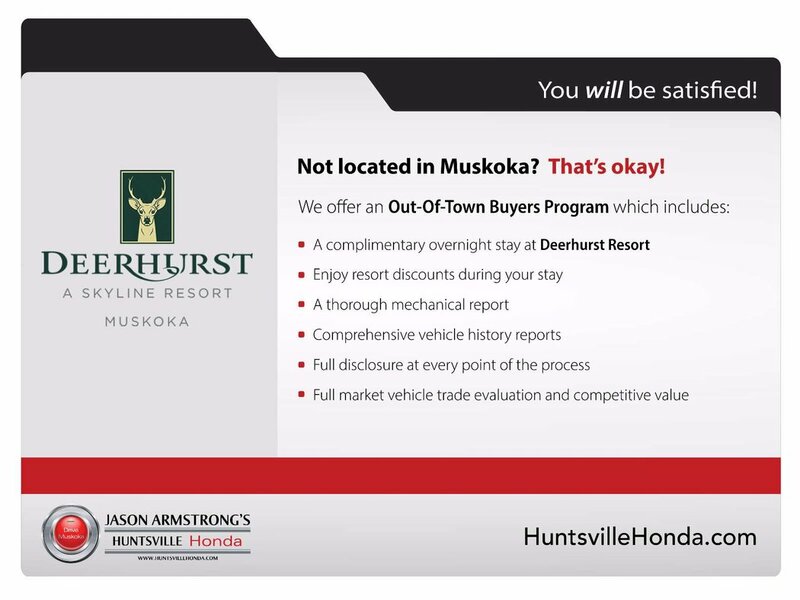 Of course, with comfortable heated leather-trimmed front seats, keyless entry, massive cargo space and 60/40 split rear seats, the CR-V can handle your family and everything they need for their many adventures!